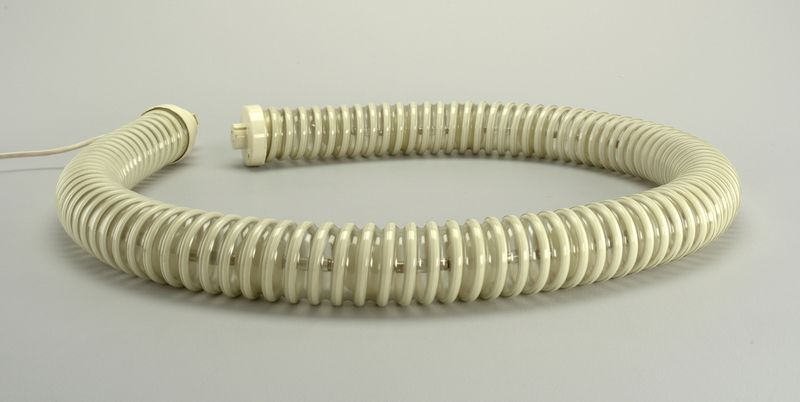 See more objects with the tag interior, lighting, home, tubular, spirals, luminous, coil. See more objects with the color rosybrown wheat dimgrey or see all the colors for this object. This is a Lamp. It is dated ca. 1969 and we acquired it in 1991. Its medium is pvc plastic, metal. It is a part of the Product Design and Decorative Arts department. This lamp is a revolt against traditional forms of lighting. Made of malleable plastic, the Boalum can be bent into a variety of shapes and placed anywhere: on furniture, floors, or walls. As advances in technology brought new light bulbs and materials to the market, lighting designers could experiment with the structure of their objects, and the light they emitted, in this case diffused incandescent lighting. 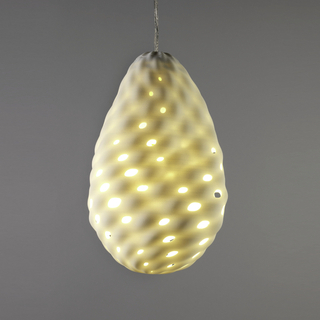 Two special features of the lamp are, first, the fact that you can change the shape at will and, second, you can connect up to four lamps together. 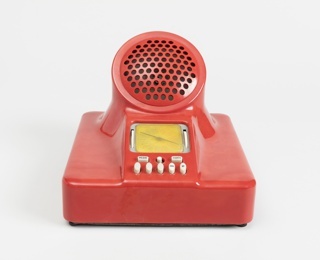 Designer duo Frattini and Castiglioni sought to rebel against the trend toward Modernism, and developed an ingenious, playful, humorous product.